Congratulations to one of the firm’s attorneys, Scott Hamblin! Scott A. Hamblin, an attorney practicing in the areas of family law, criminal defense and personal injury, is a partner of the law firm Brydon, Swearengen & England P.C. He provides experienced legal representation to clients from Jefferson City, Linn, Fulton, Columbia, Lake of the Ozarks and throughout Mid-Missouri. Scott’s priority is delivering results for his clients. 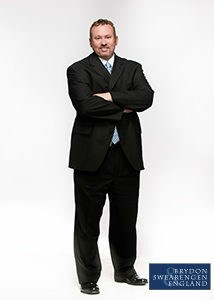 He strives to resolve legal disputes through negotiation and settlement, whenever possible, but Scott is always prepared for trial. He has practiced extensively in courtrooms throughout Missouri and has tried more than 100 cases to judgment or verdict.